1,3,5-Tris-(2,3-dibromopropyl)-1,3,5-triazine-2,4,6-trione (TDBP-TAZTO) is an emerging brominated flame retardant which is widely used in several plastic materials (electric and electronic equipment, musical instruments, automotive components). However, until today, no photochemical studies as well as the identification of possible phototransformation products (PTPs) were described in literature. 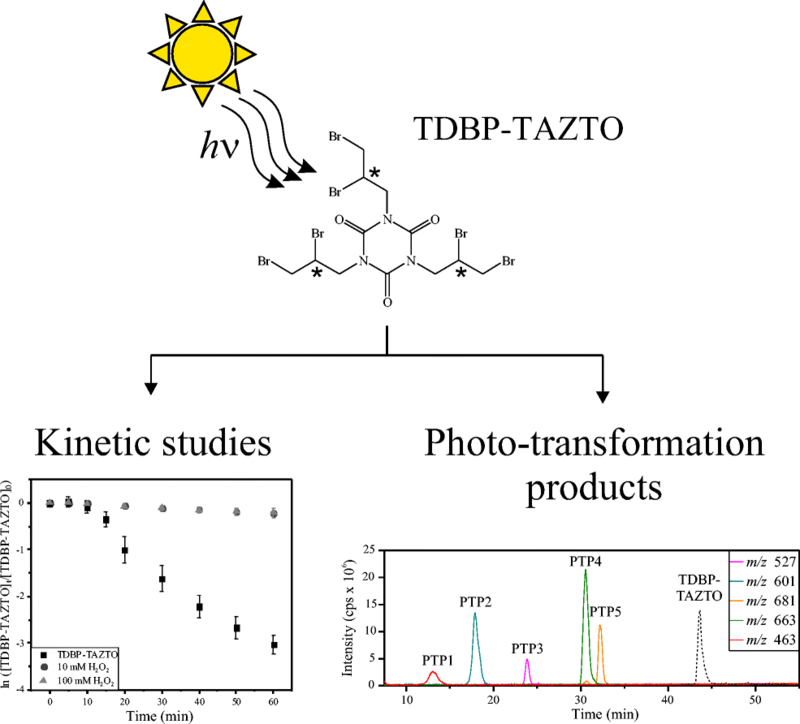 Therefore, in this study, UV-(C) and simulated sunlight irradiation experiments were performed to investigate the photolytic degradation of TDBP-TAZTO and to identify relevant PTPs for the first time. The UV-(C) irradiation experiments show that the photolysis reaction follows a first-order kinetic model. Based on this, the photolysis rate constant k as well as the half-life time t1/2 were calculated to be k = (41 ± 5 × 10−3) min−1 and t1/2 = (17 ± 2) min. 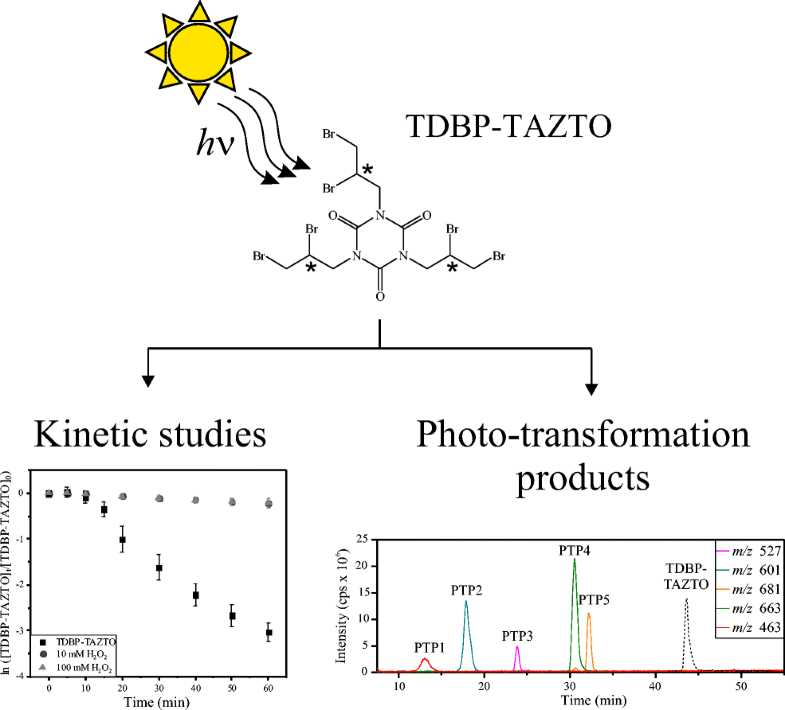 In comparison, a minor degradation of TDBP-TAZTO and no formed phototransformation products were obtained under simulated sunlight. In order to clarify the photochemical behavior, different chemicals were added to investigate the influence on indirect photolysis: (i) H2O2 for generation of hydroxyl radicals and (ii) two quenchers (2-propanol, sodium azide) for scavenging oxygen species which were formed during the irradiation experiments. 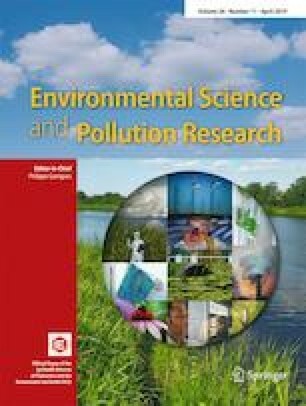 Herein, nine previously unknown PTPs of TDBP-TAZTO were detected under UV-(C) irradiation and identified by HPLC-(HR)MS. As a result, debromination, hydroxylation, and dehydrobromination reactions could be presumed as the main degradation pathways by high-resolution mass spectrometry. The direct as well as the OH radical-induced indirect photolysis were observed. The online version of this article ( https://doi.org/10.1007/s11356-019-04815-w) contains supplementary material, which is available to authorized users.